The park offers an almost endless number of walking trails; some are along rugged mountain paths, and some of them are old roads that shepherds used to lead cattle to the grasslands or farmers to reach their fields and chestnut groves. Some go through forests, some link villages to their old water mills, and some will take you to summits of the Apennines. The choice is difficult! Walking is probably the best way to visit the park, because you can experience nature, history, landscape, at the right pace. Walks are generally not too difficult or excessively long, because distances are short, and in most of cases you can choose how long an experience you desire. Most walks are easy, family friendly, and don't require much equipment. Make sure to check on weather conditions before beginning a hike on the ridgeline. Trails are marked with the white and red stripes and are numbered as "CAI xxxx." The network of trails is rich and complex, so we recommend that you obtain a TEA National Park trail map. The north side of the park is the best place for hiking because the slopes are more gradual than on south side. These gradual trails allow you to access the peaks and the Park's largest forests more easily. The Northern Apennine ridge line, also known as path 00, forms the boundary between Tuscany and Emilia-Romagna. Path 00 is over 400 km long, stretching from La Spezia to Abruzzo with various mountain huts (in Italian- rifugio) positioned along the way. It is the most popular long trekking route in the Park and is well marked and easy to follow. The Apennines have comparatively low altitudes and mainly moderately steep slopes, which means that you can walk on the ridgeline and reach all the peaks with easy to moderate effort. The views from the ridgeline are breathtaking: if the day is clear you will see Tuscany, the Apuan Alps and the Tyrrhenian Sea if you look south, and the Alps, Emilia-Romagna and the Po River valley if you look north. The ridgeline is also a very important part of history and culture of the park: people have traversed it for centuries, as shepherds moving sheep to and from grazing pastures in the high mountains, as soldiers, as pilgrims and as merchants. Taking a hike on the ridge line is one of the most authentic ways to experience the real soul of the park. Path 00 can be accessed at multiple points within the park, but the most frequently visited and easiest if you are not a trained hiker or you are with children, are Passo del Cirone, Passo del Cerreto by the visitor center, Cerreto Laghi and Febbio- where you can reach the trail by a chairlift- and Passo Pradarena. Walking the entire length stretch of Path 00 within the park takes at least 4 days, but you can choose shorter options and still reach peaks and provide amazing views. The hikes below labeled "on the Tuscan-Emilian border" are located on Path 00. The Northern Apennine ridge line, which is traced by Path 00, forms the boundary between Tuscany and Emilia-Romagna. Path 00 is over 400 km long, stretching from La Spezia to Abruzzo with various mountain huts (rifugio) positioned along the way. It is the most popular trekking route and is easily followed by hikers. Path 00 can be accessed at multiple points, but the most frequently visited are Passo del Cerreto and Passo Pradarena. The hikes below labeled "on the Tuscan-Emilian border" are located on Path 00. While the hiking itineraries have been created to give visitors the opportunity to hike on their own, the Park advises visitors to go with an experienced guide, especially if this is your first time hiking in the Park. 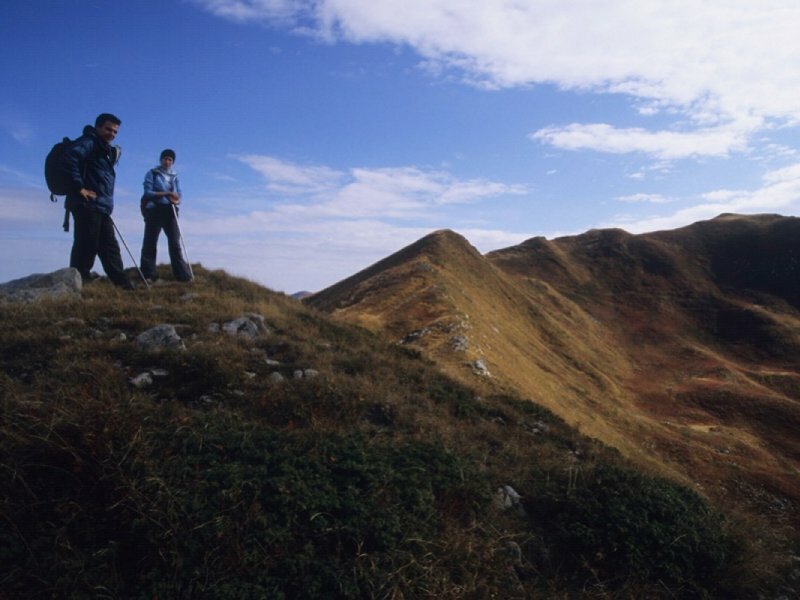 We recommend the guides at La Pietra Guide Alpine in Castelnovo ne' Monti and Apians Exploring Mountains in Garfagnana. Recommended routes and starting points linked to exact GPS locations can be found on the pages for each hike. We advise you to purchase a TEA National Park trekking map and use the starting points and recommended routes to map out your next hike. Ask the visitor center and info point staff for any doubt or further informations regarding trails, weather, equipment.